Tha an Dàmhair sònraichte do na Gàidheil, a’ comharrachadh dlùth-cheangal eadar ar cànan is dualchas, agus àrainneachd nàdarrach na h-Alba / October might simply be the ‘eighth month’ (later elevated to tenth) for English speakers, but to Gaels it is the month of the deer rut which celebrates one of the iconic natural events in the Scottish calendar. Tha meall àrd ann an seann Ghàidhealtachd Siorrachd Obar Dheathain, faisg air Uisge Dhè, air a bheil An Càrn Damhaireach (ged a tha ainm annasach Beurla air cuideachd – ‘Top of the Battery’). Tha an t-ainm Gàidhlig gu math drùidhteach aig an àm seo dhen bhliadhna, oir tha e a’ cur An Dàmhair nar cuimhne. Ge-tà, chan ann air a’ mhìosachan eadar-nàiseanta a tha e a-mach, ach air an t-sealladh a chithear agus air an fhuaim a chluinnear anns an ràith seo, agus na daimh ruadha ri dàireadh sa mhonadh. Red deer on Forsinard Flows National Nature Reserve. Chan eil fios le cinnt an ann bho damh + dair no bho damh + gàir a thàinig am facal Dàmhair, ach tha cinnt ann gu bheil e a’ bualadh air fèin-ghiùlan nan damh ann am meadhan an fhoghair, agus iad ri bùireadh is sabaid airson ceannas. Aig aon àm, bhiodh An Dàmhair a’ buntainn ris na seachdainean eadar meadhan na Sultaine agus meadhan na Dàmhair (October) ach bha i air a bhith diofraichte bho bhliadhna gu bliadhna. An-diugh, ’s e am mìos as fheàrr le iomadh duine, agus e a’ cur nar cuimhne mar a tha dlùth-cheangal ann eadar ar cànan is àrainneachd na h-Alba. 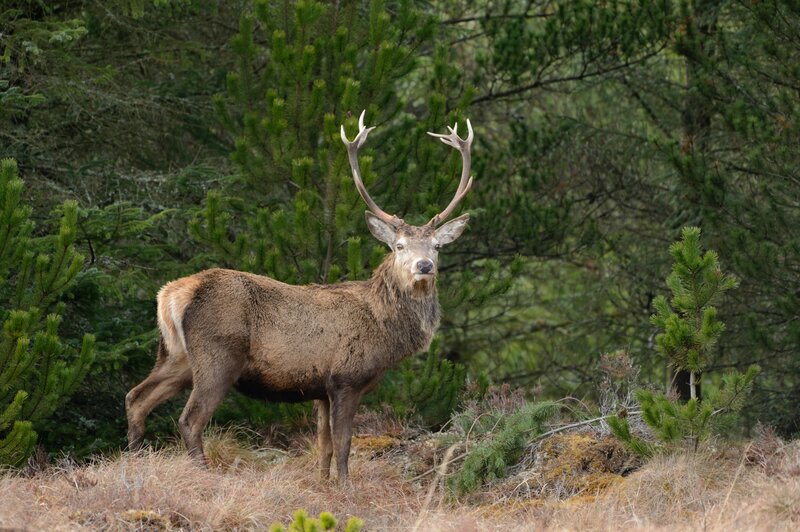 Red deer stags with hinds in rut at Kilmory on Rum National Nature Reserve. The modern Gaelic name for October is An Dàmhair. 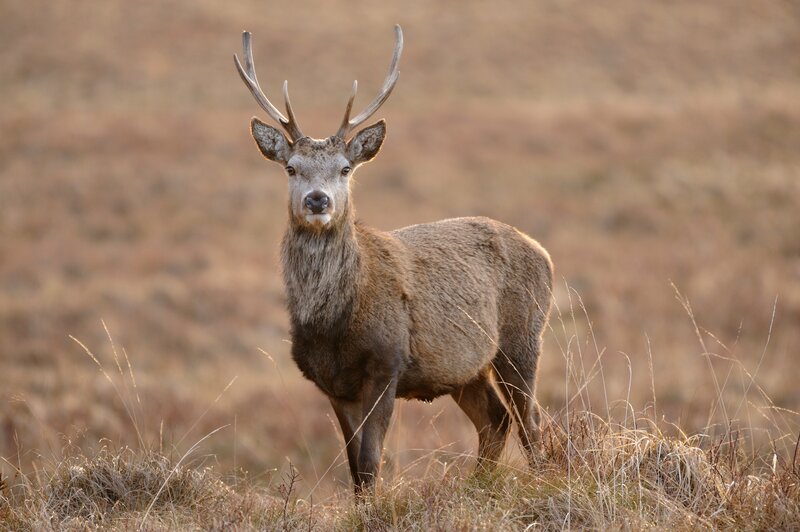 It has been derived both from damh + dair meaning ‘stag copulation’ and damh + gàir, meaning ‘stag clamour’, the latter referring to the roaring of the animals during the rut. 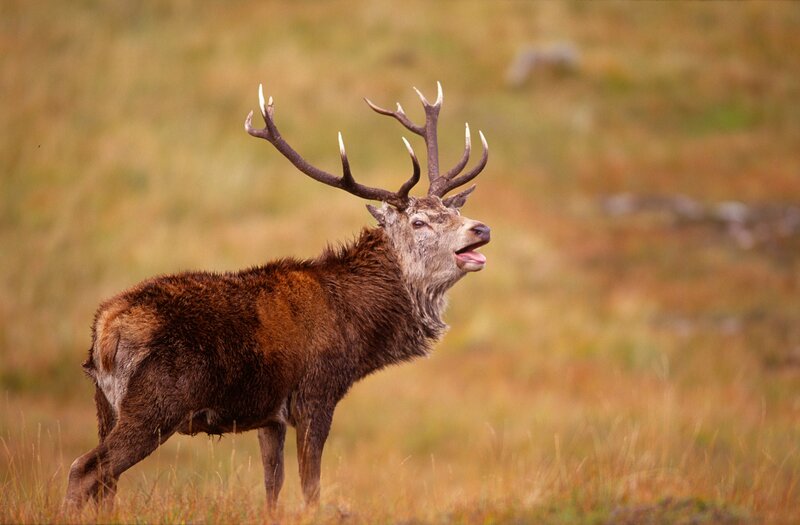 An Dàmhair probably originally occupied a period straddling the latter part of September and mid-October, but would have varied from year to year, depending on the activities of the stags. 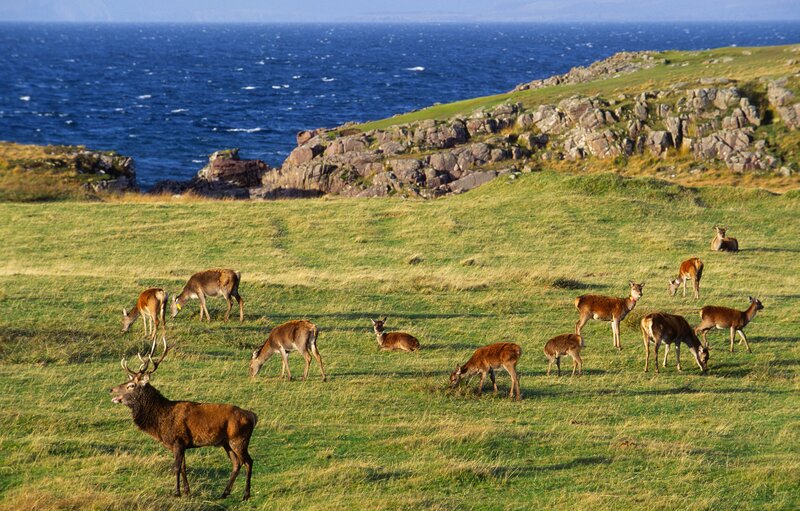 Now it is, for many people, the most iconic month in the Gaelic calendar, reminding us of the strong and continuing links between our language and the annual rhythms of nature in Scotland. This entry was posted in Gaelic, National Nature Reserves. Bookmark the permalink.